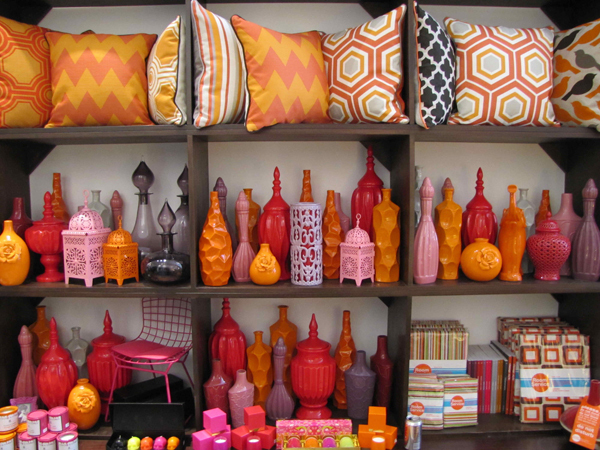 San Francisco’s independent interiors boutiques are clustered around Hayes Valley and the Mission, and stock a wide variety of printed and patterned homewares, modern furniture and gift accessories. Here, we profile Room Service, a colourful and decidedly retro-themed interiors store run by a husband-and-wife team. One of our favourite exhibitions from Clerkenwell Design Week was Political Objects by London based designer Oscar Diaz and his studio Federal Office. The exhibition looked at what was referred to as 'design activism' and featured projects by young designers who are using their work to make cultural statements or bring about political change. 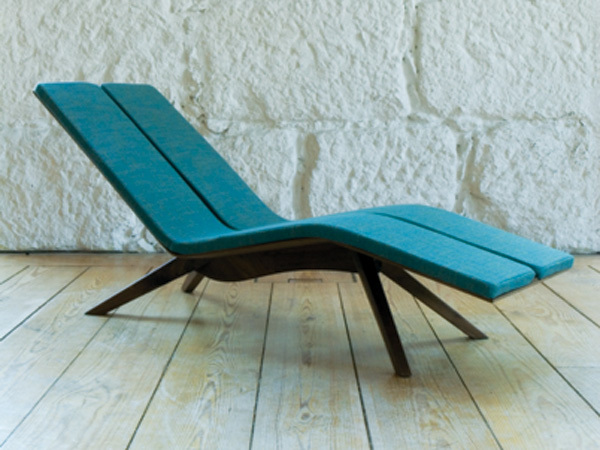 Founded in 2007 by industrial designer Filipe Faria and interior designer Alexandra Sotto Maior, Portuguese furniture brand Matrioskas launched their first collection at Tent London in 2009. They've since expanded and developed the range - which includes seating, dining tables and armoires. Here are some photo highlights from HBL's recent trip to Amsterdam, from the city's iconic symbols - such as the tulips, historical facades and hundreds of canals - to the details that really caught our eye. 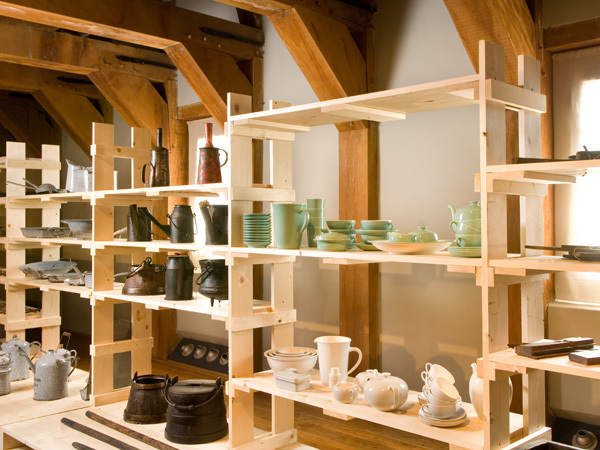 'Industrious Artefacts: the evolution of crafts', an exhibition curated by designers Jurgen Bey and Rianne Makkink, opened at Zuiderzeemuseum in the Netherlands last week. 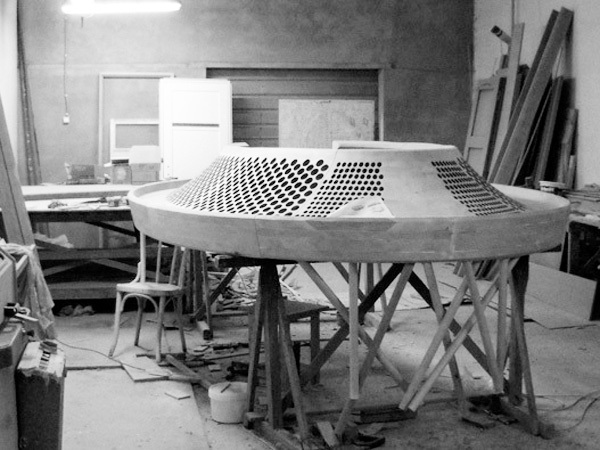 Running until 12 February 2012, the show presents the work of a number of designers working today who apply traditional industrial processes to modern design scenarios and methods of manufacture. 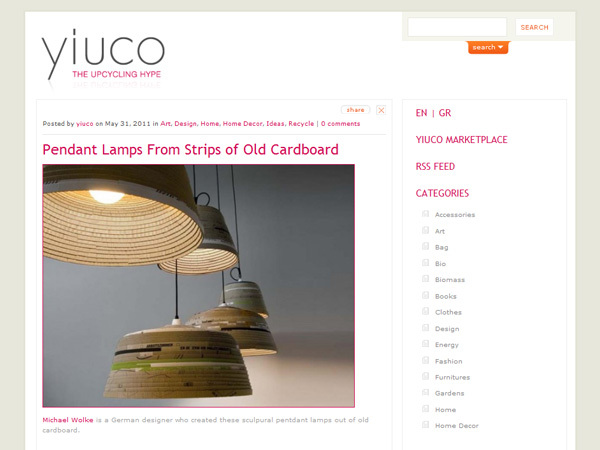 Upcycling marketplace Yiuco's blog is dedicated to showcasing the most ingenious new products which use recycled or reused materials to create a new object of greater value than the material itself (upcycling). Categories covered range from art and fashion to design, technology and energy. 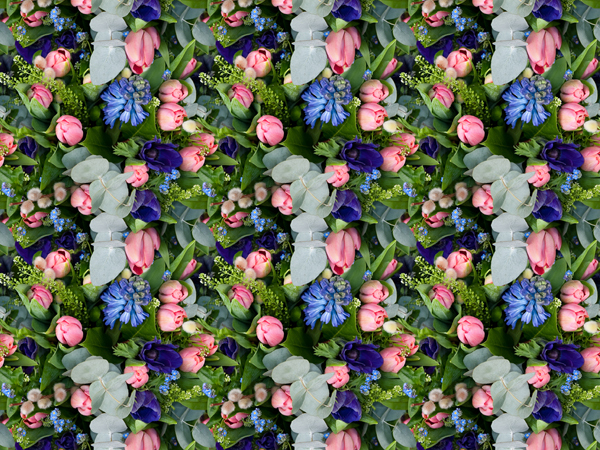 HBL loves: the quality filter. While upcycling as a design method can often result in products of questionable merit, Yiuco will usually only publish the best projects. Ukrainian designer Andrey Bondarenko has created Omelette, an alternative supermarket display system for hen and quail eggs. 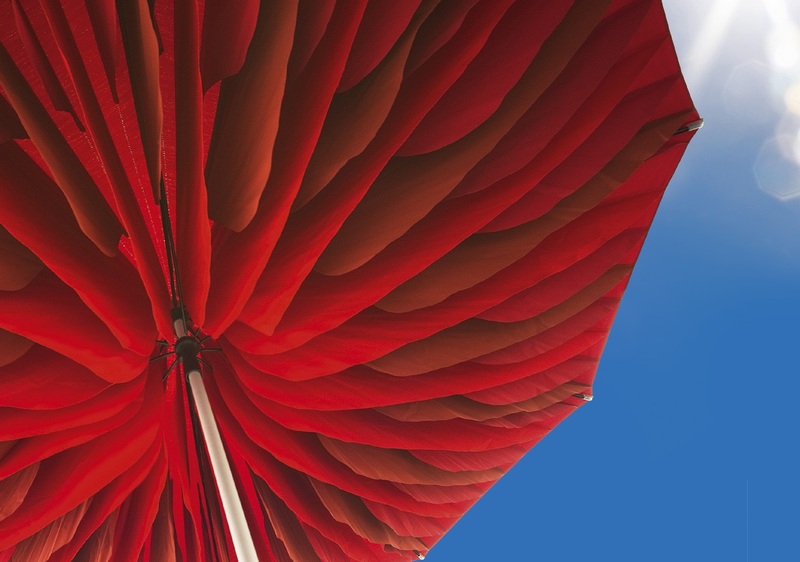 Swedish print solutions company PrintDreams have developed technology which allows you to photograph a scene and print it directly onto a page. 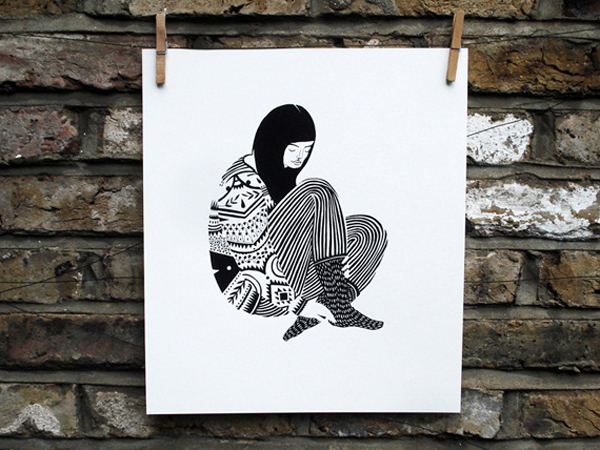 The portable device, called PrintBrush, can also be used to print image files, and can be used on almost any flat surface, from packing boxes to wood to fabric. 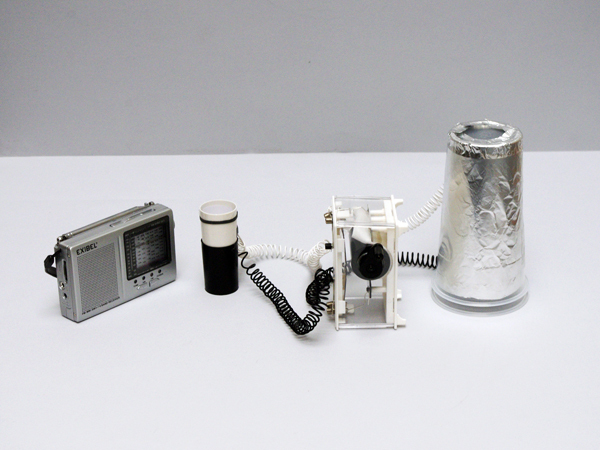 While still a prototype at this stage, PrintDreams hopes to bring the product to market by the end of 2011. Landscape designer Sarah Eberle has won a 9th gold medal at this week's RHS Chelsea Flower Show, for the Monaco roof garden. The design features a swimming pool, living wall, bursts of lavender, and faux-leather Cloe loungers by Canning & Sheridan. 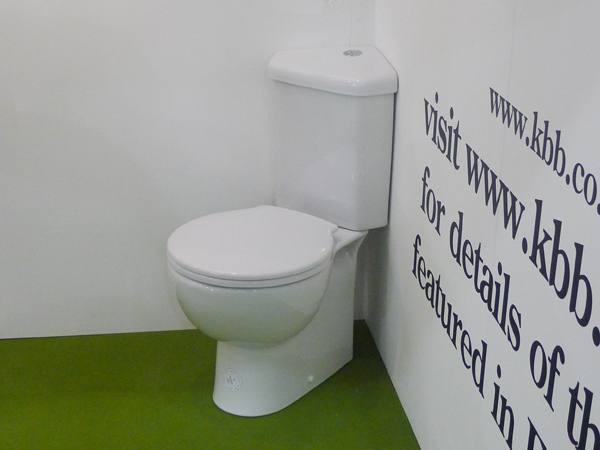 The show runs until Sunday, and WGSN-homebuildlife subscribers can expect a full report early next week. Every design event worth its salt has a pop-up shop these days, and Clerkenwell Design Week is no exception. The Creative Clerkenwell Pop-up Shop took up residence in the Corner Shop, 21 Clerkenwell Green, for the duration of this week's festivities, selling a range of small-scale handcrafted goods including jewellery, soft accessories, vases, storage objects and original prints. 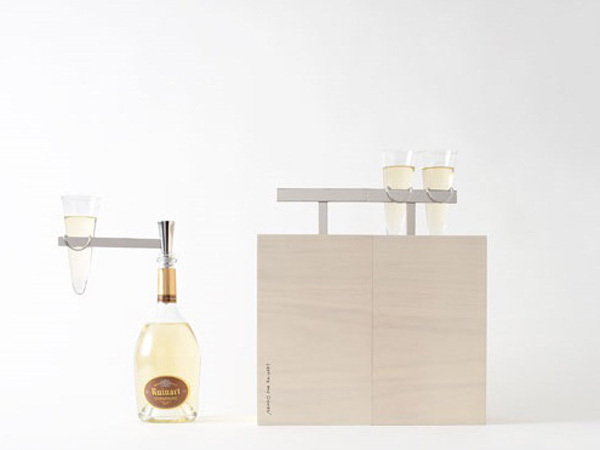 Japanese designer Nendo has created an urban picnic set for champagne brand Ruinart, based on the premise of "a new perspective on urban living that celebrates all the city has to offer through picnicking". A new personal shopping suite designed and curated by Lee Broom was unveiled last night at the Topman Oxford Street flagship in London. 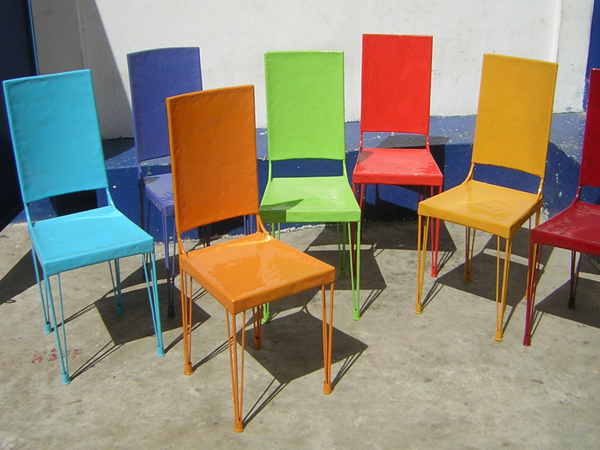 The British designer has designed several statement pieces for the space. Lee's One Light Only collection of pendant lights hang overhead and the Cathode Console, lit from below by neon lights, will function as the concierge desk. The area boasts half-moon booths, parquetry tables and walls with classic herringbone patterns. American mega-brand Martha Stewart Living Omnimedia Inc has hired Blackstone Advisory Partners to look into possible partnerships and investments in the company, sparking speculation that the entire business could be up for sale. Homebuildlife subscribers can click here for full release. 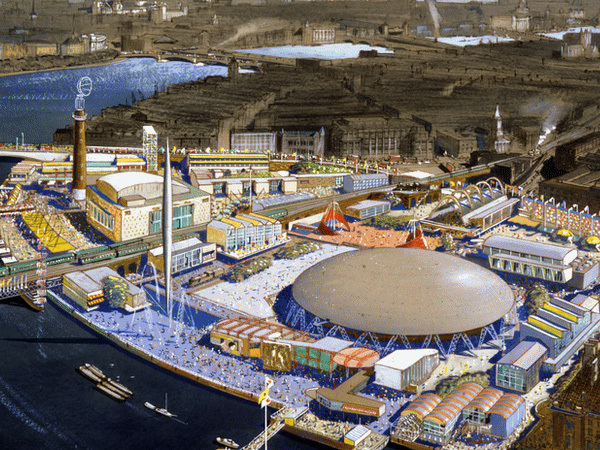 One of London's most respected cultural hubs, the Southbank Centre, is this summer playing host to a series of events celebrating the 60th anniversary of the Festival of Britain, originally held in the same location in 1951. The four-month festival highlighting British culture and creativity is already underway; here are WGSN-homebuildlife's pick of the must-see (and must-do) events taking place. During WGSN-homebuildlife's recent reearch trip to Milan (see our photos here), we visited Milanese homewares store Skillart. Featuring an eclectic mix of furniture, textiles, accessories and tableware, it focuses on promoting a well-curated selection of products in a thoughtfully styled retail space. The second ever Clerkenwell Design Week, a three-day programme of events including exhibitions, open studios, talks, workshops and product launches, had a refreshingly calm atmosphere after the intensity of Milan last month. 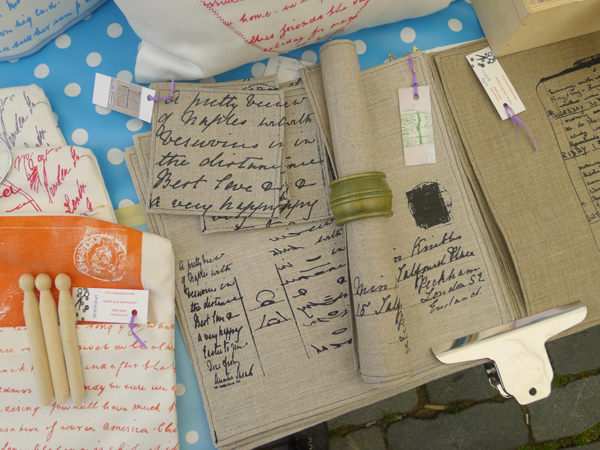 One of WGSN-homebuildlife's favourite events was the CDW Market, a small craft market held in the square next to Clerkenwell Gate. The Targa Giovani, part of Compasso d’Oro ADI, is awarded every three years to the best design thesis to emerge from an Italian school during that period. 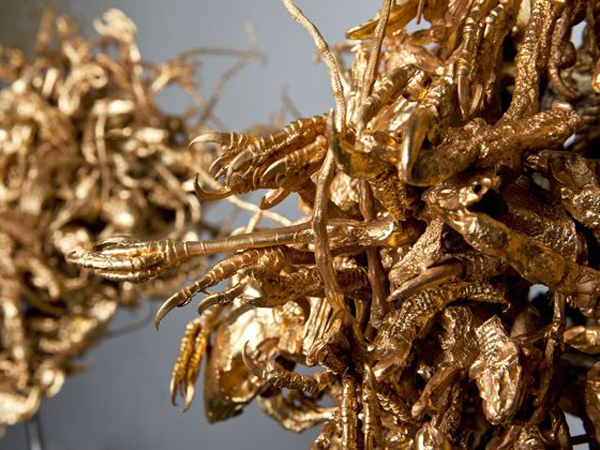 More than 400 shortlisted projects for the XXII award will be on display at Rome's museum for contemporary art, MACRO Testaccio, from 31 May - 25 September this year. The invisible iPhone is a new interface that can transfer an iPhone touch screen to the palm of a user's hand, allowing them to use the phone as normal - even when it's still in their pocket. The interface is being developed by Patrick Baudisch, professor of computer science at the Hasso Plattner Institute in Potsdam, Germany, and his team. Subscribers can read our full report on the development here. 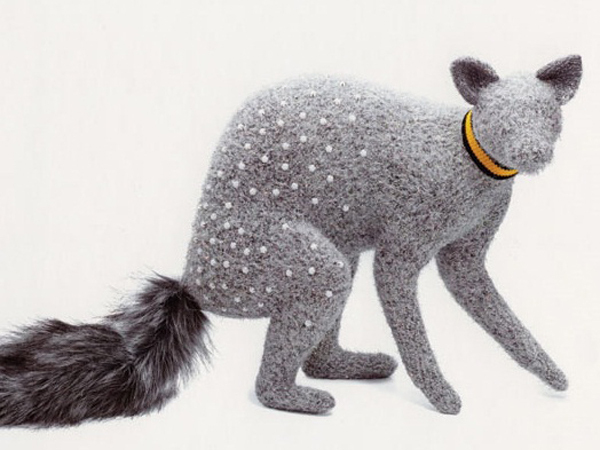 Australian textile artist Louise Weaver uses crochet and stitch to create stuffed creatures in classic taxidermy poses. Belgian outdoor furniture brand Sywawa stand out in a well-populated sector of the furniture industry. Aesthetic considerations of material, texture and colour seem to play as much a part in the design process as functionality, resulting in a well-considered and commercial collection of pieces. Animals have been a recurring theme in children’s interiors for decades, but certain animals seem to pass in and out of favour. 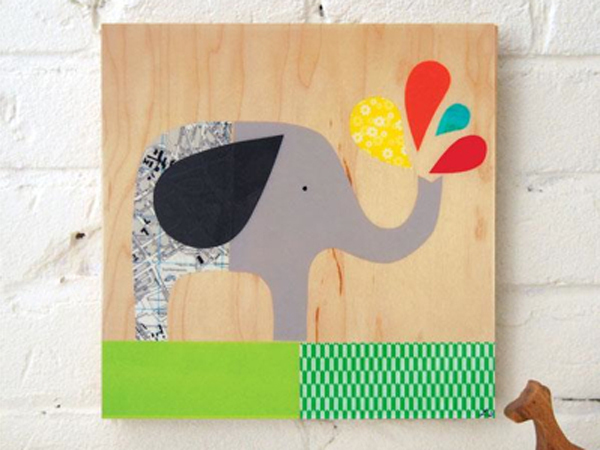 Elephants are currently enjoying their moment in the spotlight and elephant prints can be found on a huge range of kids' interior products. 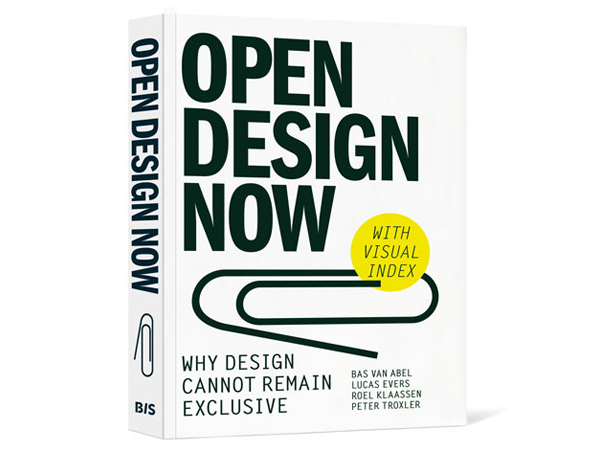 Open Design Now: Why design cannot remain exclusive (BIS publishers, Amsterdam), by Creative Commons Netherlands, Premsela and Waag Society, examines the emerging field of open-source design and considers its impact on society, both so far and in years to come. Set to be published in early June, it includes case studies of products as diverse as the RepRap self-replicating 3D-printer and $50 prosthetic legs. HBL loves: that authoritative design figures have been invited to have their say, including Droog's Renny Ramakers and John Thackara, director of The Doors of Perception. Subscribers can read our report on open-source design here. Founded in 2009 by Anna Murray and Grace Winteringham, Patternity is a London-based design studio specialising in fashion, design and interiors - and a blog of the same name, which focuses on, as they explain themselves, "seeing pattern everywhere". Today, for example, an initial fashion image is matched to: a building component, a shadow, an interior, some houses, lighting, and a hairnet. HBL loves: its creativity, its vision - and the fittingly dynamic user navigation. WGSN-homebuildlife visited the glassblowing studio of Peter Layton to observe his practice first-hand, and see some of the beautiful end results up close. London-based art duo Tim Noble and Sue Webster have chosen the brand-new Blain Southern space in Berlin to stage their latest exhibition. With the aim of maintaining an air of mystery, the pair have created a labyrinth of tunnels that spiral, sprawl and ultimately disorientate, forcing viewers to become explorers. Marga Hielle Vatter (upholstery) and Max Pearson (chair). 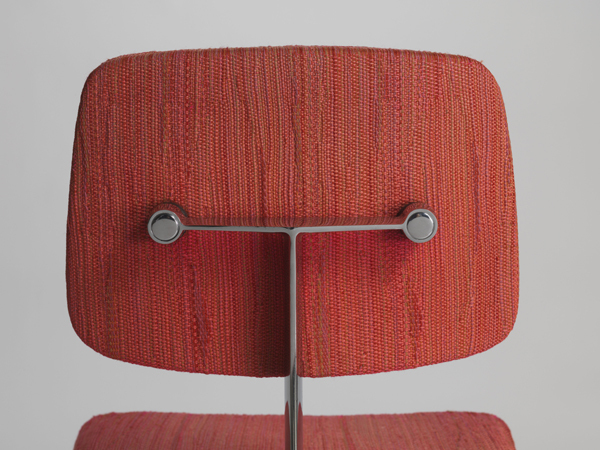 Detail, Dynamic upholstery on model 46 chair. Ca. 1973. Steel, aluminum, foam rubber, and wool upholstery. Private collection. 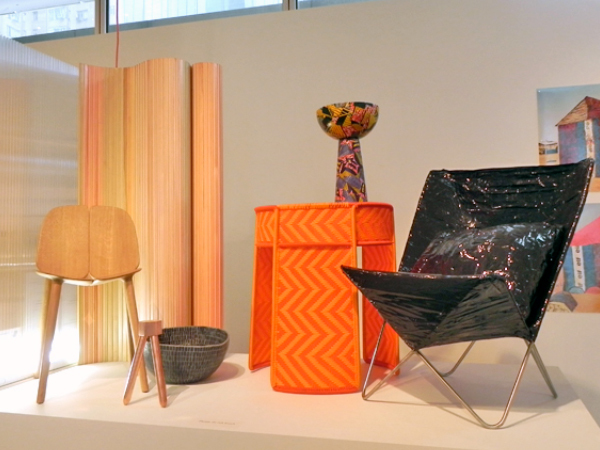 During the ICFF in New York last week, WGSN-homebuildlife found a feast of pattern and colour inspiration at the opening of Knoll Textiles: 1945 - 2010, currently showing at the Bard Graduate Center on Manhattan's Upper West Side. The exhibition is the first ever comprehensive curation of Knoll's work and offers a fascinating insight into the brand's history. 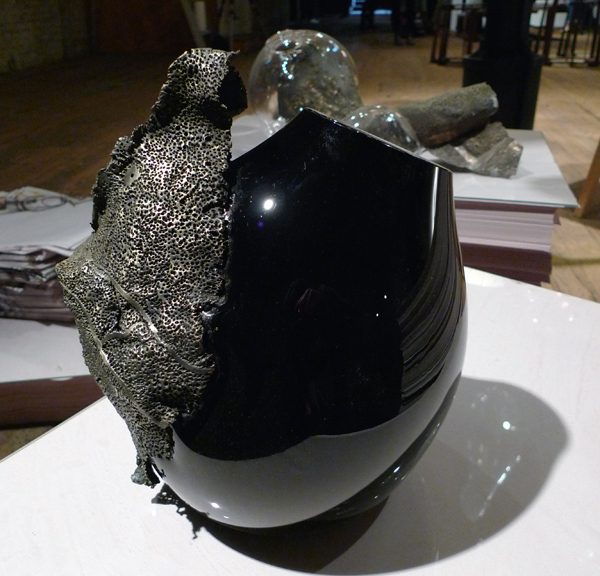 Last week American designer Stephen Burks' exhibition 'Are You A Hybrid?' opened at the Museum of Arts and Design in New York. The exhibition brings together projects by designers who are working with artisans around the world to help preserve traditional skills by applying them to new products for an international market. 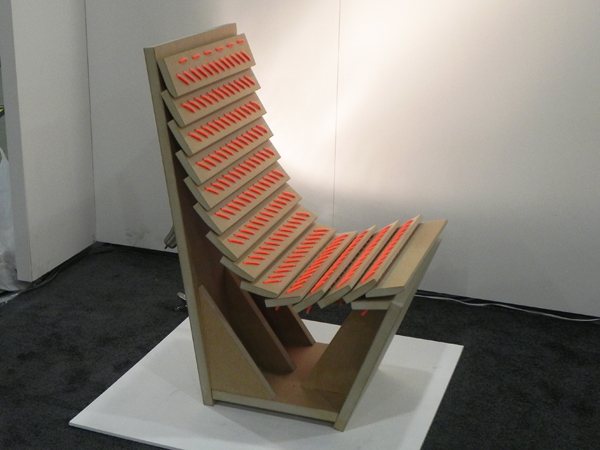 Designer and architect Rafael de Cárdenas was probably the most talked about designer during the ICFF in New York last week after he unveiled his debut furniture collection at the Johnson Trading Gallery. The collection, described as an homage to Bruce Goff and Frank Lloyd Wright, is characterised by his trademark aesthetic: a fearless combination of Navajo inspired, saturated colour and bold geometry. Kitchen, bathroom and bedroom-focused tradefair KBB provides a three-day opportunity for manufacturers, designers, suppliers and retailers to get together, check out the new ranges and plan their offerings for the coming season. WGSN-homebuildlife visited this month's London show to pick out the highlights. The Observer Food Monthly, a special magazine supplied with the British weekend broadsheet, focuses on eating, drinking, cooking and all associated topics. The May edition examines the future of food and drink, in a series of articles written in association with Cafe Direct. 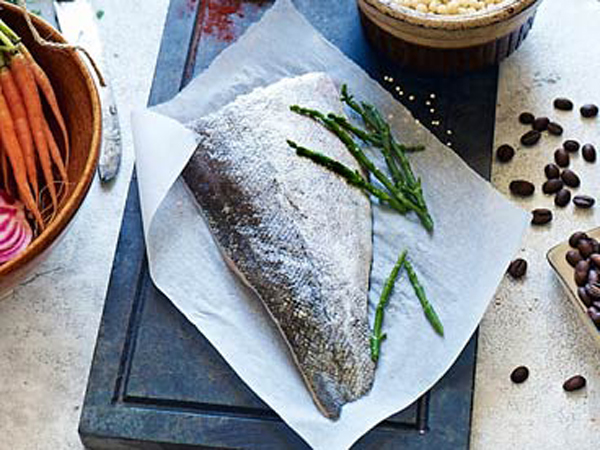 In A taste of things to come, Fiona Sims considers how and what we will eat in years to come, while in The way we consume, she takes a look back at the biggest food trends of the past ten years. A guide to modern eating sees the increasingly important issue of provenance debated, while The way we eat out by Emma Sturgess examines our changing attitudes to restaurant dining. 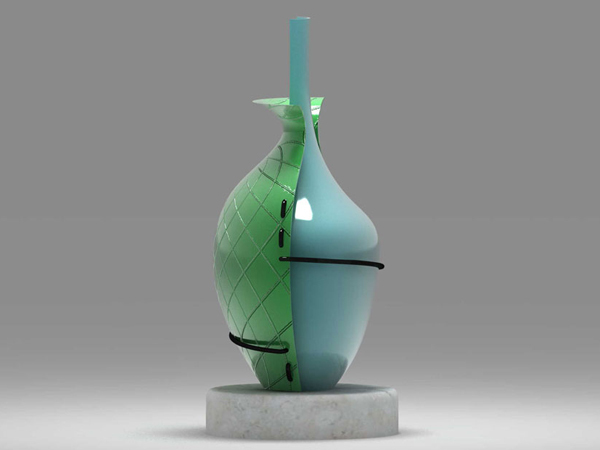 The winners of the Craft & Design Selected Award 2011 have been announced by the bi-monthly British craft magazine. 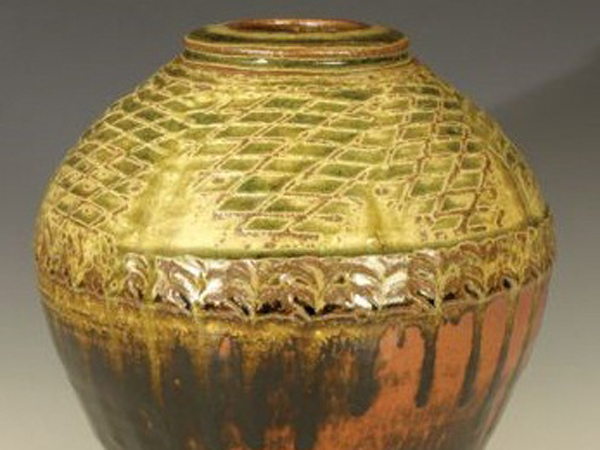 The awards span the categories of ceramics, wood and metal, textiles, jewellery and precious metal, glass, and specialist media, with ceramicist Phil Rogers taking home the most prestigious award, Maker of the Year 2011. 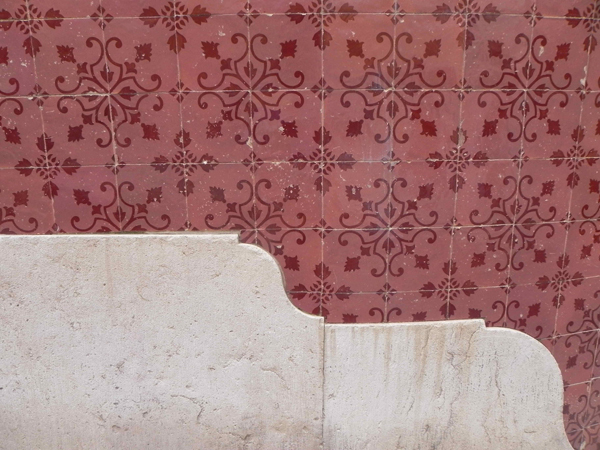 From the faded splendour of Lisbon’s ornately tiled town houses to the rustic charm of the Alentejo coast, WGSN-hombuildlife finds colour and pattern inspiration in Portugal. Here's the latest in our series of photo highlights. 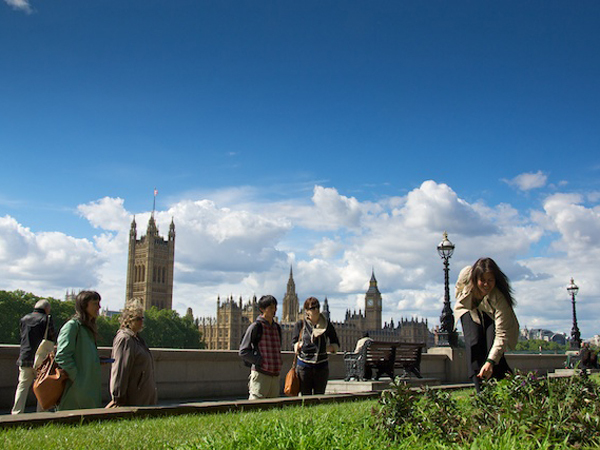 The WGSN-homebuildlife team diverted to Trafalgar Square on our way to the office this morning to pick up a handful of tomato plants from the B&Q flashgrow, which took place from 6.30am to catch the commuter rush. For details of the event, read our original post; more photos from this morning's proceedings after the break. 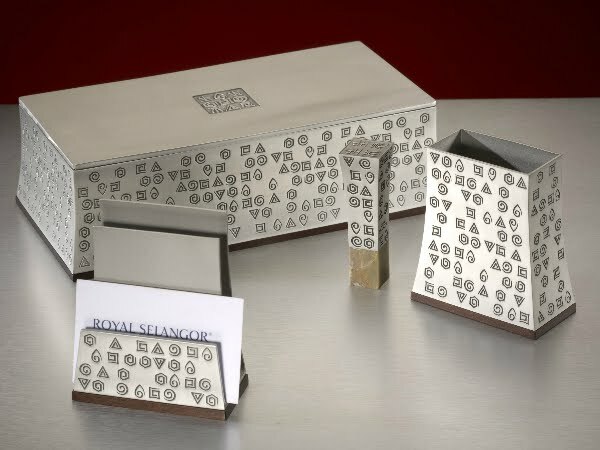 Renowned Hong Kong designer, Freeman Lau adds desk and home accessories to his designer collection for Malaysian pewter gift and homeware specialist, Royal Selangor. Taking inspiration from the traditional Chinese philosophy of Five Elements – wood, fire, earth, metal and water - the monographic swirls on each product symbolises “balance; leading to harmony, growth and prosperity”. 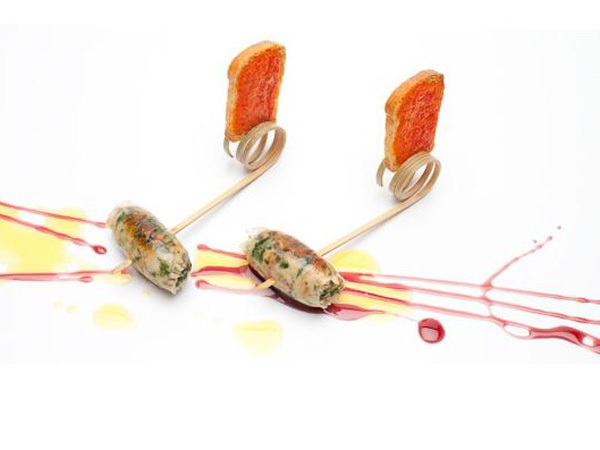 New US catering/entertainment company Pinch Food Design is setting out to re-imagine entertaining. Founded by chef Bob Spiegel and designer TJ Girard, Pinch have so far launched a range of "food furniture" which aims to solve many of the everyday problems of catering scenarios. Seen at NoHo Design District is a haunting collaboration between lighting designer Lindsey Adelman and sculptor Darcy Miro. An early confirmation of our Eco Hedonism macrotrend, these tabletop objects combine Adelman's handblown glass with Miro's rough metallic textures. 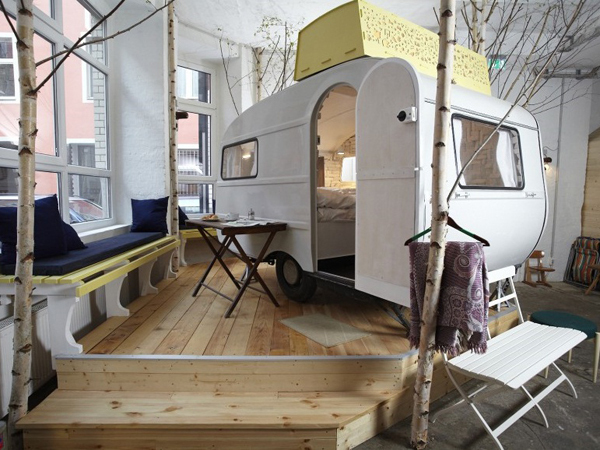 The Hüttenpalast in Berlin is a new hotel concept, created by Silke Lorenzen and Sarah Vollmer. Situated in a former vacuum-cleaner factory are a cluster of renovated old campsite caravans, each available to stay in for the night. WGSN-homebuildlife speaks to London-based illustrator Karolin Schnoor about her design process, sources of inspiration and plans for the future. 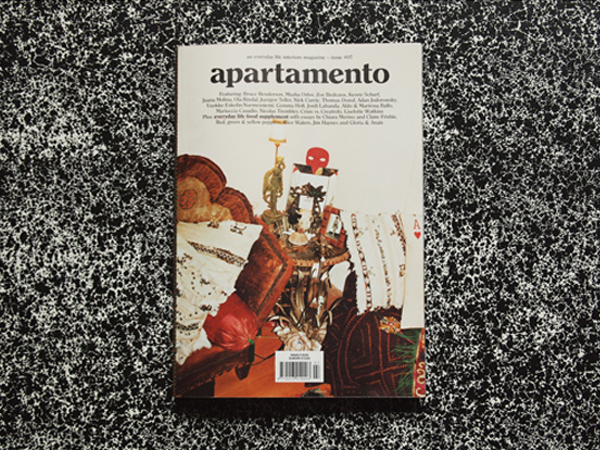 Angelo Cirimele, editor of The Style Press 2011 Book, gave us a rundown of his top ten independent magazines from Europe: here's a sneak peek at two of his choices. 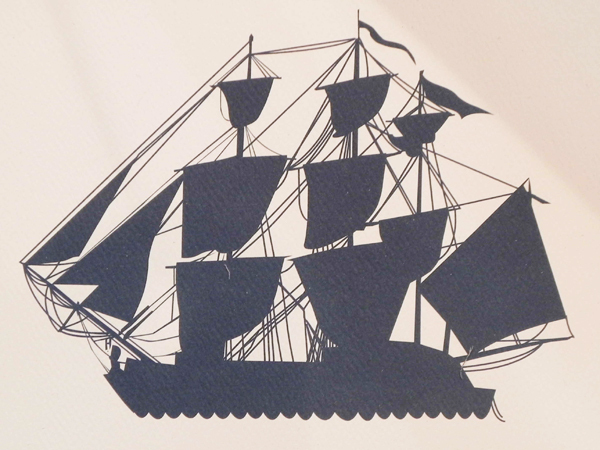 Nautical nostalgia: Large masted ships, simplified anchors and nautical themes were given the retro treatment. Vintage bicycles: Simple bikes are an important graphic in vintage shapes, paired with handlebar baskets and flowers. Bold geometries: Graphic and colourful zigzags are a geometric trend, joined by rectangular trompe l'oeil repeats. Subscribers can read our full live report, including the top three brands from the show, here. The Wall Street Journal reports that although luxury goods such as Bentleys and Hermès bags are selling again; wealthy American consumers have changed. 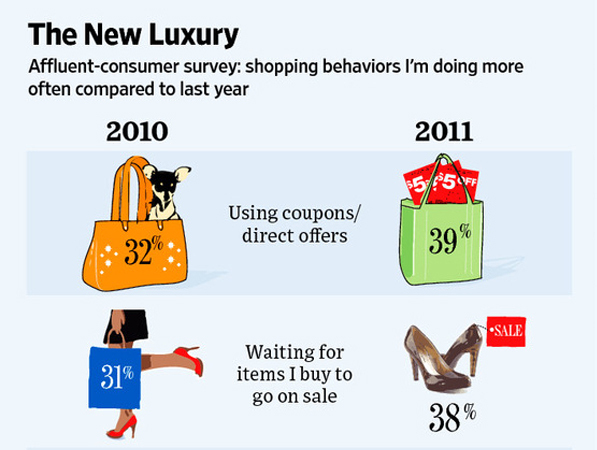 The affluent are less trusting of brands than a few years ago and are redefining luxury as things that have an emotional quality as well as a high price tag. Ikram Goldman, owner of the Ikram store in Chicago, explains that clients now covet things that aren't mass-produced. Citing Rodarte as a perfect example due to its artful designs in limited quantities, Goldman explains, "They don't feel like they're a dime a dozen," she says. "Our customers are desperate for that." This year's edition of the London Design Festival is set to be better than ever, with a host of innovative installations and exhibitions planned to take place this September. WGSN-homebuildlife has a sneak preview of the highlights, as revealed this morning by co-founders John Sorrell and Ben Evans. 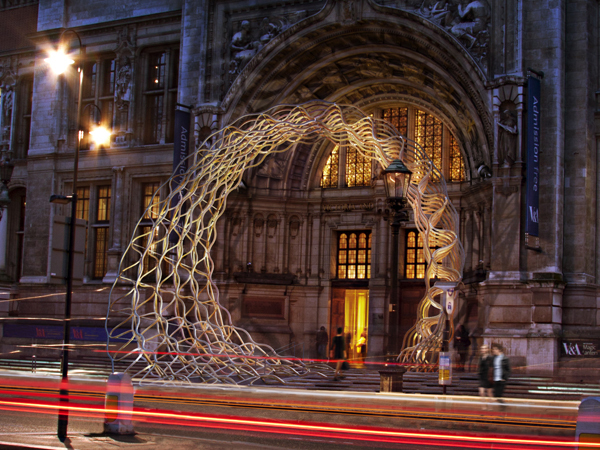 Amanda Levete Architects have been commissioned to create an extension to the main entranceway of the V&A Museum, which traditionally acts as the hub of the Festival. Called Timber Wave, it will be a sculptural installation made of American hardwood, with each segment calibrated to maximise its structural capabilities. 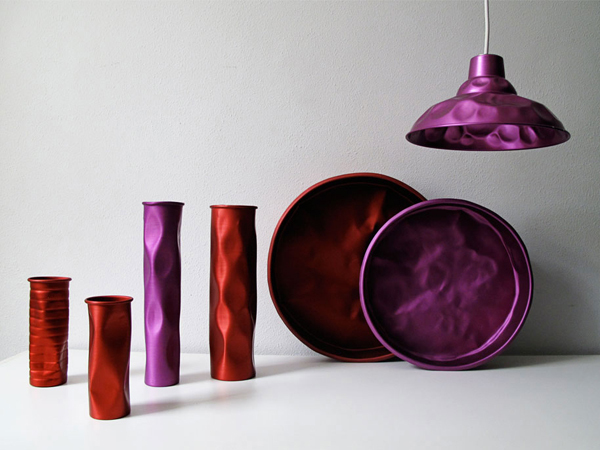 Curious Collections is the brainchild of Dutch designer, photographer and consultant Mariëlle Leenders. Feeding into WGSN’s A/W 11/12 macrotrend Faux Real, the collection offers nature-inspired photodesigns for textiles and wallpaper. 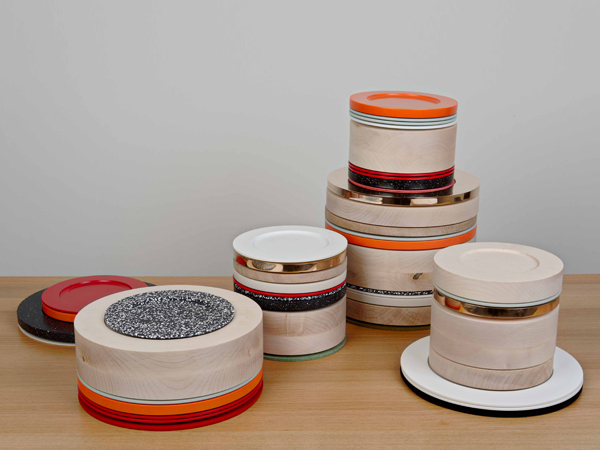 Last week, designer Sebastian Bergne and colour artist Sophie Smallhorn presented a new collection of stacking tableware called Colourware at the Collect Contemporary Craft Fair in London. The project was inspired by the desire to challenge the traditional creative process: "The colour was the starting point for the project; we found a selection of colours we really loved and everything else followed on from there." 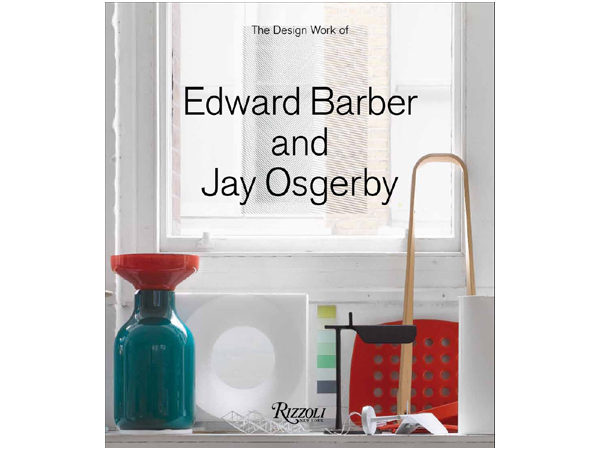 'The Design Work of Edward Barber & Jay Osgerby' (Rizzoli, 2011) was officially launched at ICFF in New York this week, and is the first monograph of British design duo Barber Osgerby's work to date. Its name, Press to Plant, literally explains how this green gadget works: users press down the top of the cube to start the planting process - soil and seed are all encompassed inside and no water is required. The lego-like blocks, measuring at 3.5 x 3.5 x 4.0 cm, can be connected and attached to each other to form a larger arrangement. Created by Fuji Industrial Limited, WGSN spotted this product at Hong Kong’s recent Gifts and Premium Fair. A detailed report about the tradeshow will be published on WGSN-homebuildlife soon. 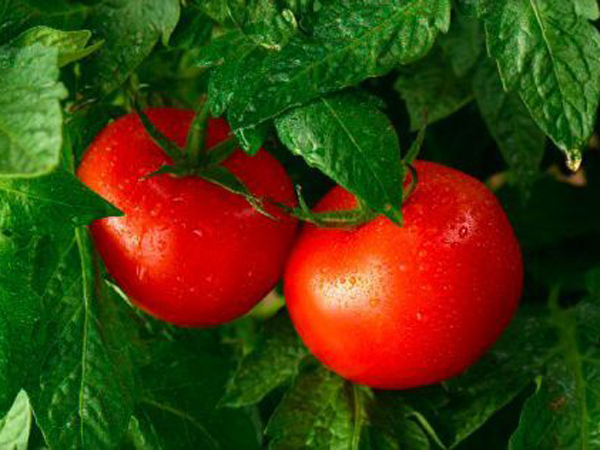 One of London's most famous tourist attractions will go red on Friday, when a tomato flash grow will descend on Trafalgar Square in a bid to get Londoners growing their own fruit and vegetables. 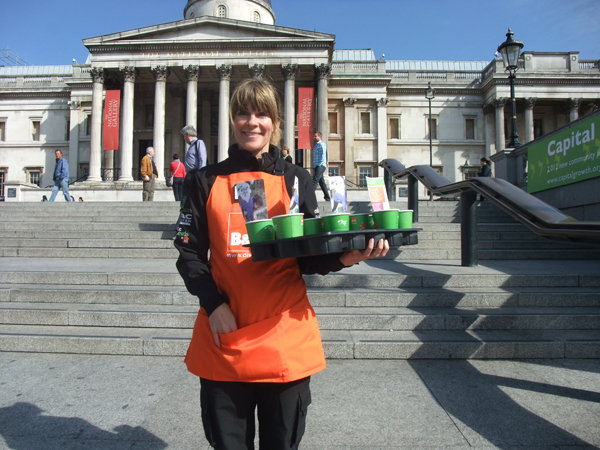 100,000 tomato plants will be given away by B&Q from 6.30am, as an extension of their Let's Get Gardening campaign. Netherlands-based design enthusiast Danielle de Lange runs an online store called Le Souk, which specialises in eclectic homewares. 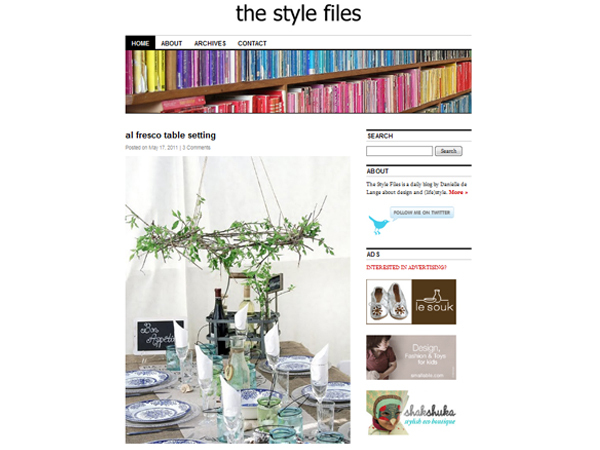 She started The Style Files after deciding that the clippings and inspiration she took from magazines and trips around the world should be shared with a wider audience. HBL loves: Danielle's occasional daydreams, shared in the form of beautiful lifestyle shots. For example: "I am dreaming of a quiet moment on this veranda with gorgeous ocean view". 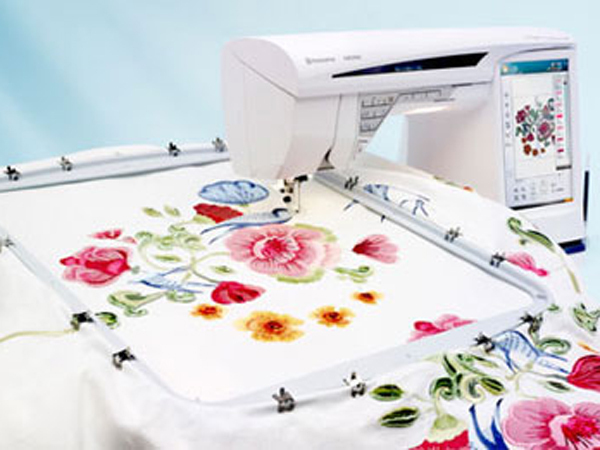 A recent article by Anjali Athavaley in The Wall Street Journal reports on the technological developments of sewing machines, asserting that "new multitasking sewing machines strive to be as accessible as a smartphone". With New York's National Stationery Show now well underway, here's a stop-motion film from one of the exhibitors, Swedish notebook company Whitelines, which aims to convert us all from black-lined notebooks to their white-lined concept. French designer Mathieu Lehanneur has renovated the choir of the St Hilaire, a church in Melle, France. 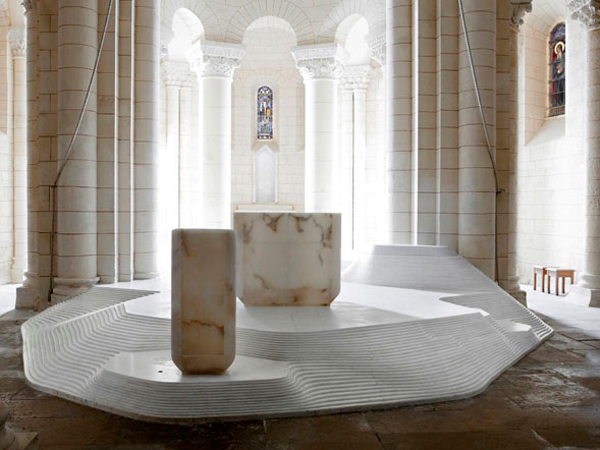 Lehanneur has installed an undulating white marble floor, in-built baptistry and an altar and ambo made of coloured alabaster. Graduated layering: Slats of wood are layered to create curved forms across furniture and lighting. 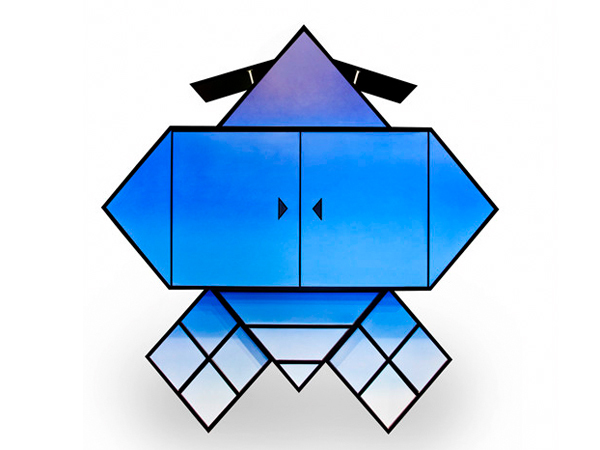 Slatted constructions: Flatpack constructions are slotted together to create angular box shapes. Wired: Minimalistic wire structures are seen on lighting and furniture creating caged designs, in a further example of the trend we highlighted last month. This weekend, WGSN-homebuildlife went on a guerrilla gardening field trip with award-winning subversive gardener Vanessa Harden to distribute seed pills along the south London riverside, in an event organised by Jotta as part of the Diesel School of Island Life programme.